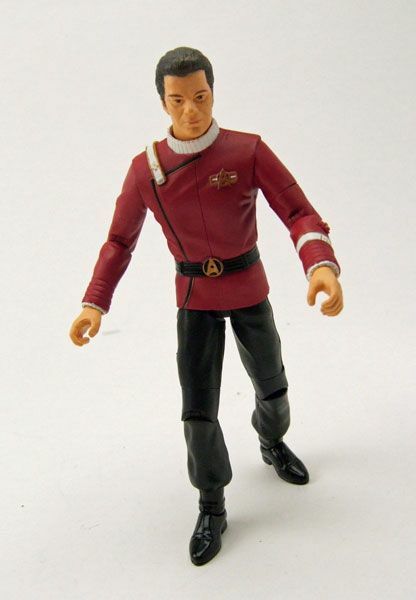 Kirk was released carded in the first series of "Star Trek II The Wrath Of Khan" figures. The Rundown: I really feel like I need to make an apology to Diamond Select Toys. 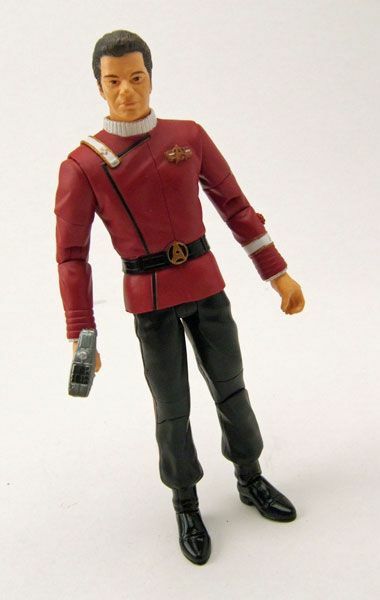 Over the years, I've not always been polite when it comes to their handling of the Trek toy license. While they have often canceled stuff that I REALLY wanted, and they've shown an incredible propensity for releasing Kirk & Spock repeatedly, I do need to give them credit for one thing. 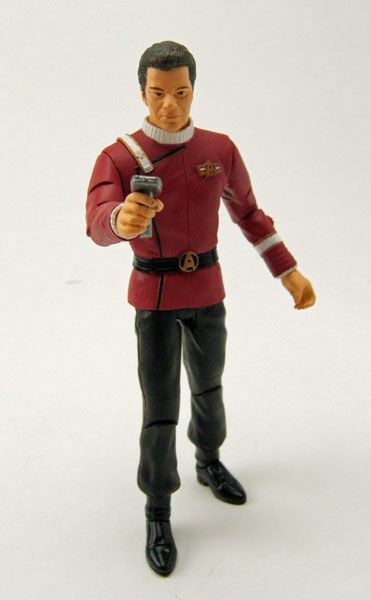 They did something with the Trek franchise that no other toy company ever did; They released an entire line of figures from "Star Trek II The Wrath Of Khan". 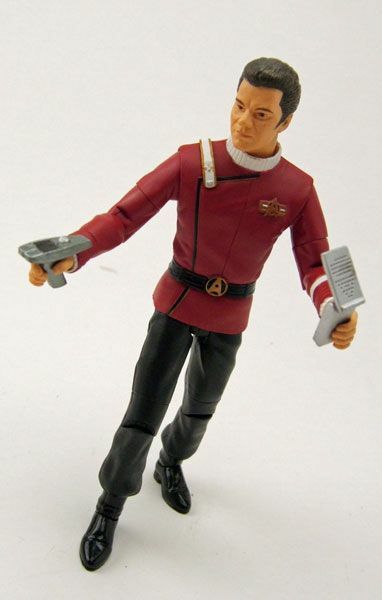 Instead of just sprinkling a few releases into the Classic Star Trek line (like Art Asylum planned on doing), DST pushed all their chips to the middle of the table with the "Wrath Of Khan" figures. TWOK deserved a full line and DST knew it. They planned out three waves immediately, covering all the essential characters that one would want in a very short time. 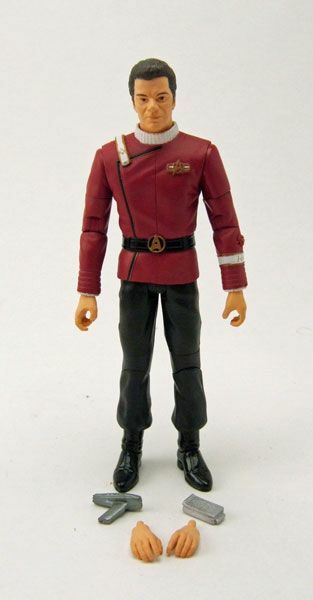 Of course, no Trek line can be without Kirk, so the good Admiral made it into the first wave. After that rather long-winded intro, let's take a look at good ol' Kirk! The TWOK bodies are, in my opinion, some of the finest work of the AA/ DST era. The sculpting on the uniforms is incredibly nice and very well detailed, with a range of movement that allows for plenty of dynamic posing. 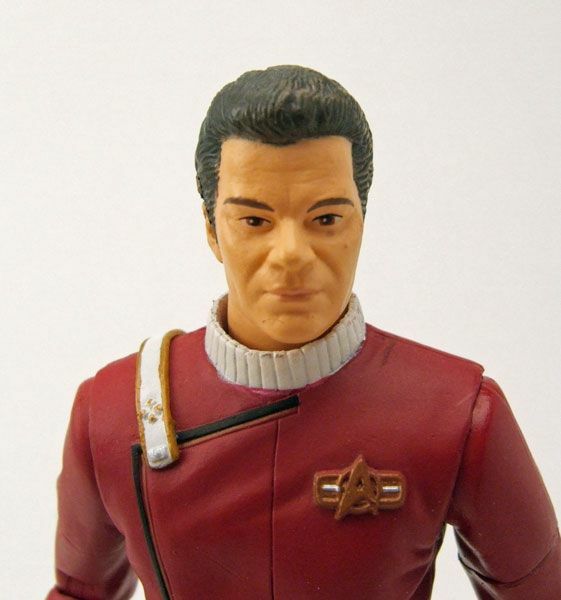 And while the tunic does retain a bit of the lamented rubbery elements of the Art Asylum Classic Trek releases, it is thankfully limited only to the area under the belt. The rubber is thicker as well and feels like it will probably hold up better over time. Overall- Awesome work. 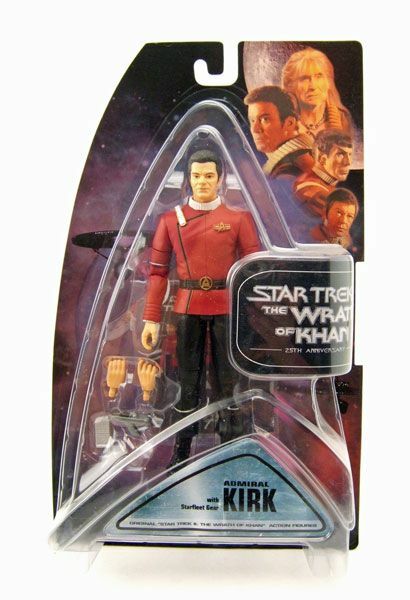 Take that TMP head, throw it on the TWOK body, and you get the first Kirk pictured up there. I think that works much better than the standard release (pictured in the middle). The TMP 2-pack is currently on clearance at most Toys R Us stores, so you won't be breaking the bank by doing this. 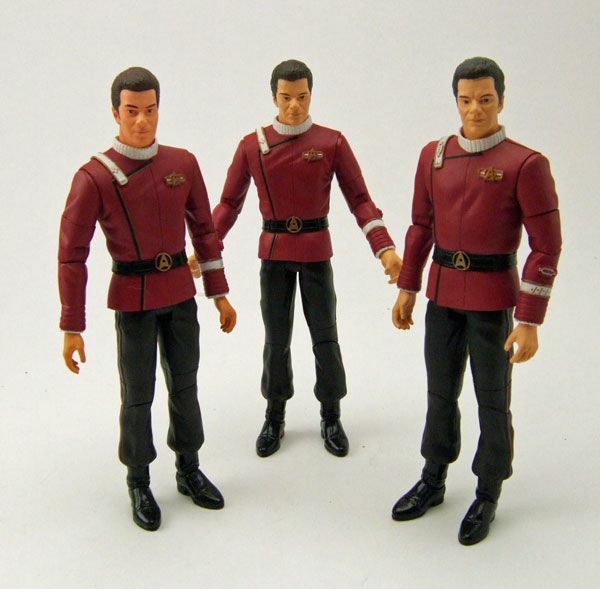 Oh, and you'll then have an extra pinchy head lying around that you can throw on the "thicker" Terrell body for an acceptable "Star Trek VI The Undiscovered Country" Captain Kirk (pictured on the left)! Customizing can be fun! 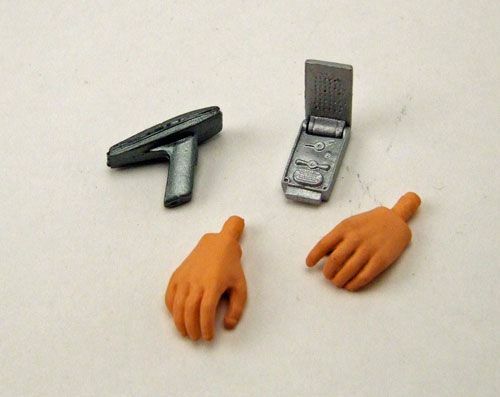 Accessories: Kirk comes equipped with a phaser and communicator, plus two interchangeable hands. What more could you ask for? Nothing... So don't go getting greedy on me. 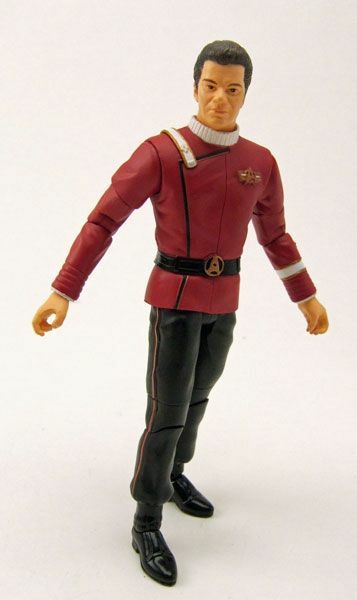 Other than a wonky head, this Kirk is the bee's knees. You can't have a TWOK line without Kirk, so if you're thinking about getting into them, this one is a good place to start. He routinely sells in the $15-$20 range... but I've notcied that he is starting to dry up on eBay, so don't wait too long! Otherwise, you'll have to try and buy him at a CCCOOOOOONNNNNNNNNN!!!!!! Get it? "Kahn"/ "Con"? Sigh... Just go buy him. Wow, that guy on Facebook just wouldn't quit complaining about this review! Unbelievable!